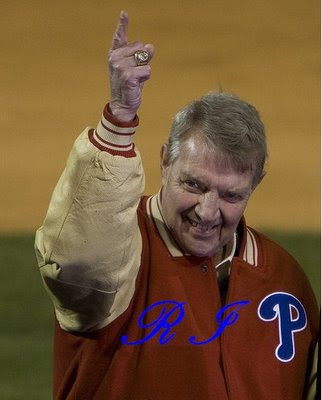 It's been a full year since Phillies broadcaster Harry Kalas passed away preparing to do the job he loved and millions of people around the country loved him for. His passing was one of those moments that many people will remember where they were when it happened. The Phillies lost their voice that day. I long considered Harry Kalas to be more of a Phillie than any of the players who had worn the uniform in many years. You are missed by many, Harry.